can you please do nhl hitz pro ? Guess what's back. Back again. Part two of Hitz Project: initiate. This time, we're talking expansion. There are another 16 teams, one on every continent. 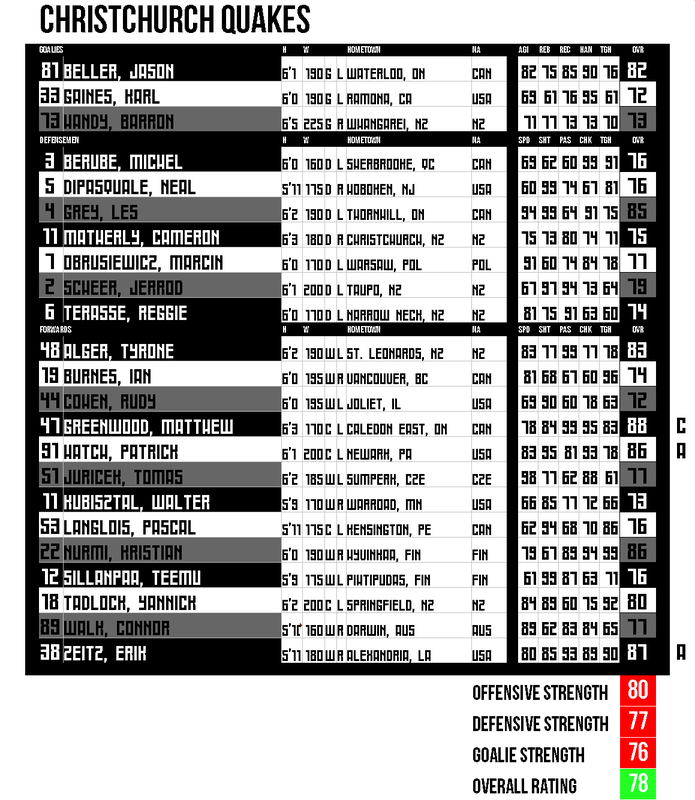 Each will have their own rosters, statistics, depth charts, and everything else. A lot of the suggested team names were used; some of them weren't. There will be some weird concepts, and some more normal ones. Each team has their own original rosters, logos, details, etc. just like the last project, and the teams are seeded 1-16, starting with #16. I hope you enjoy it. Here comes the first team, the #16 ranked Amsterdam Lions. 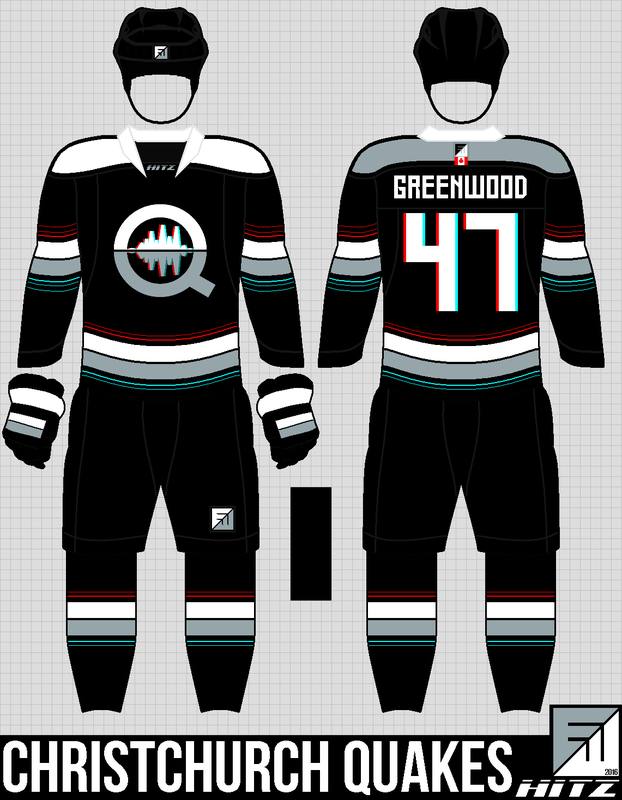 Starting with the home, away, and alternate uniforms. And the team's lineup and statistics. The main line features the three captains, Zwijersberg-van Hoek-Steevers, along with Hovis and Masson on D and Krusen in goal. All around, this team is the weakest in the new league, especially in net. The team's forwards are good skaters, but aren't highly skilled in other areas. There will be a new touch to this part of the series, in homage to the original Hitz games. 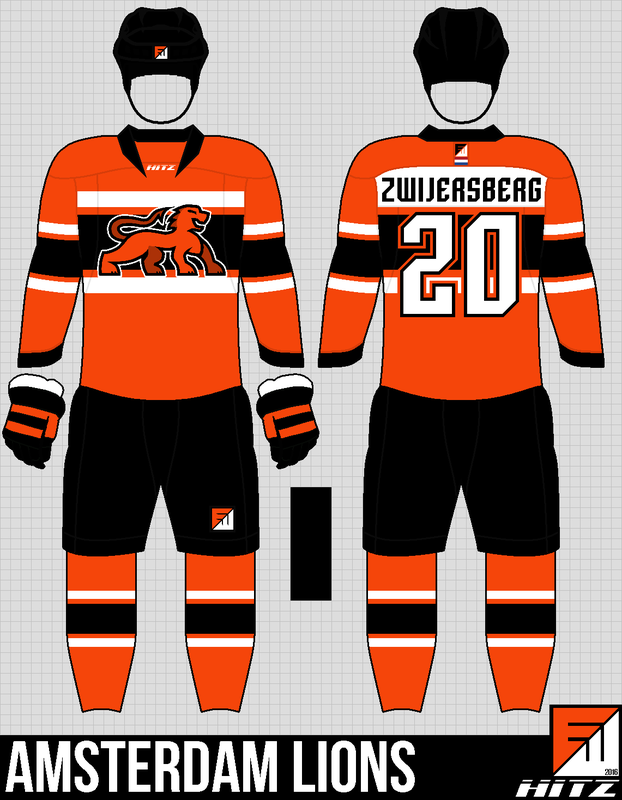 Many of the original NHL Hitz franchise teams played in exotic locales; the Berlin Thunder played in an auto factory, for example, and the Tokyo Herons played in a beautiful Japanese garden. Now, the next 16 teams will also play in exciting new venues. On the Keizersgracht of Amsterdam, the city's longest canal, frozen in the winter cold. The riverbank walls form the boards, and a bridge over the canal can be seen behind the north goal. During games, spectators can be seen leaning on the bridge's railings and on the riverbanks to watch. Many locals park their vehicles and bikes close to the seawall that forms the rink's boards. The other 15 teams will also have similarly exotic rinks. And, just to top things off, here are some team T-shirts. The next team will be weird, wild, bright, and hopefully kind of funny. That's all for now. Keep your stick on the ice. Getting to know the exotic place they play is icing on the cake! Great job can't wait for the other 15. WOW! LOVE THE DETAIL! Awesome work as always! 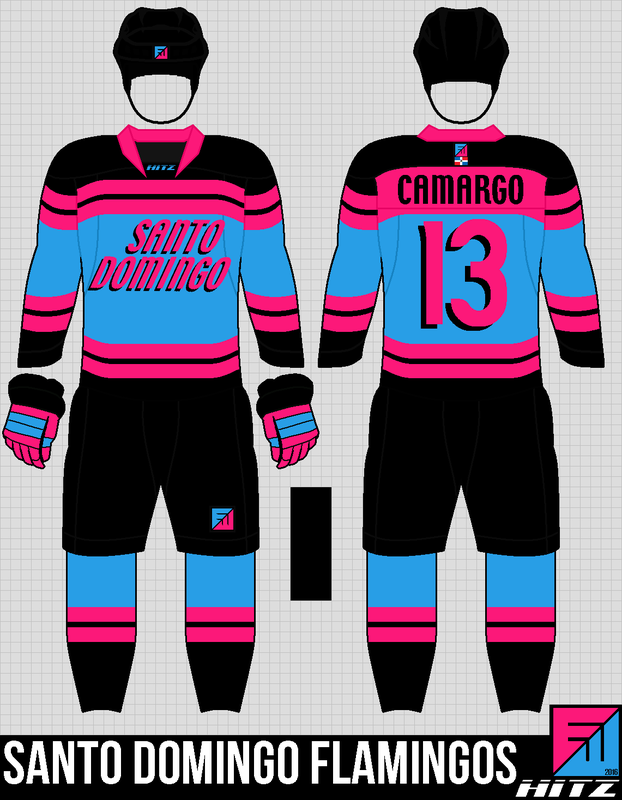 The #15-ranked Santo Domingo Flamingos. 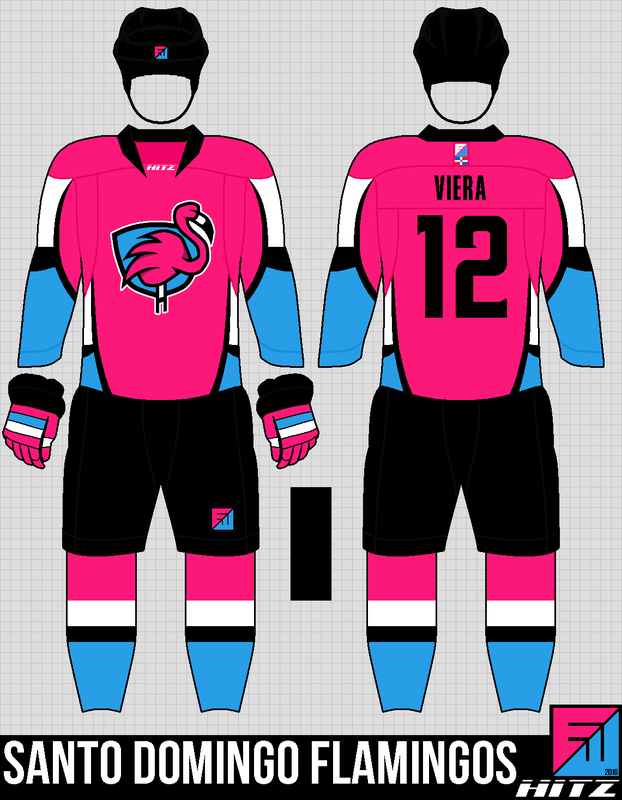 This team's colours are pink, cyan, black, and white. The unis are appropriately bright. Team's lineup and stats right hurr. Several of the team's players are from the Dominican Republic, including captain and speedy playmaker Francesco Viera and enforcer Jose Camargo. 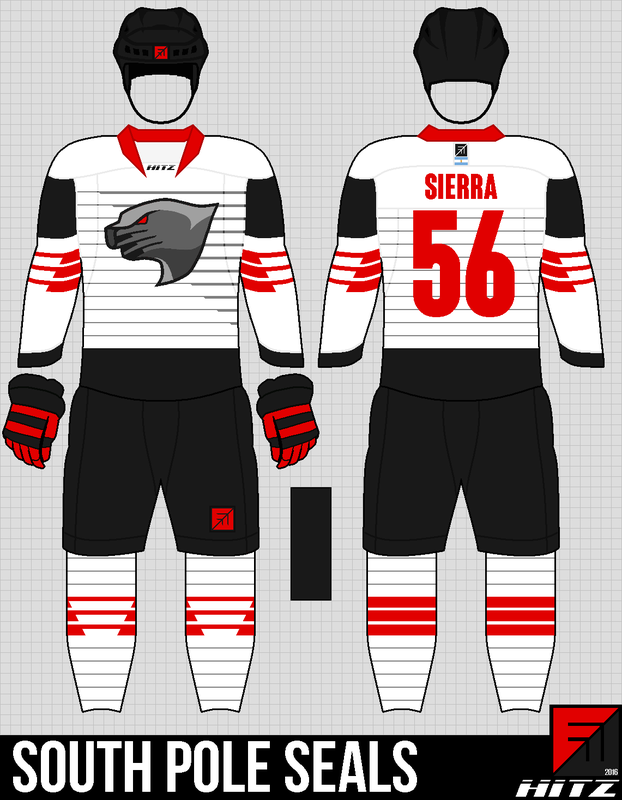 The team runs a three-goalie system, with Canadian Jason Wise heading the ship. Canadians Glenn Farner and Phil Figueroa hold the defense down. 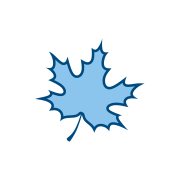 Despite the Canadians, the team's defense is lacking, and most of their games are high-scoring, wheel-and-deal affairs. The team's home rink is right here, at the swimming pool at Santo Domingo's Embassy Suites hotel. Fans can watch the game from the pool's deck, from upper floors, or from the plaza below, where a TV screen is erected. Some even sunbathe rink-side during the games. And to finish the package, here are some team t-shirts. Our next team is waaaaaay down south. It'll make the ground shake. It'll be posted in the next couple days. Keep your eyes peeled. The whole package is fantastic. I especially enjoyed reading about the Flamingos' unique home venue. Very creative thinking on that front. Love It! Still holding out for a team in Tel Aviv! Glad to see you guys are liking the new teams! Any more feedback before the next team gets posted? 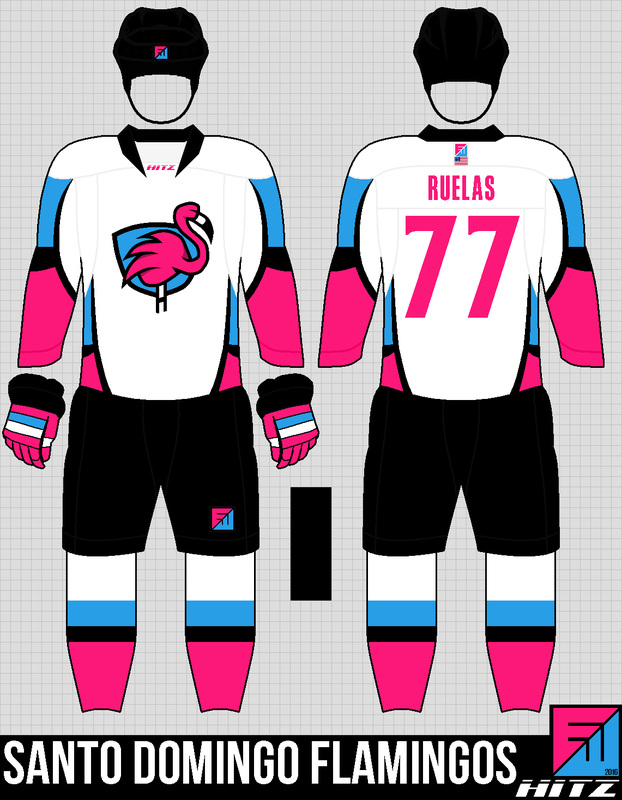 I like the overall look of the Flamingos, I also feel that this sort of concept would be at home in Miami. 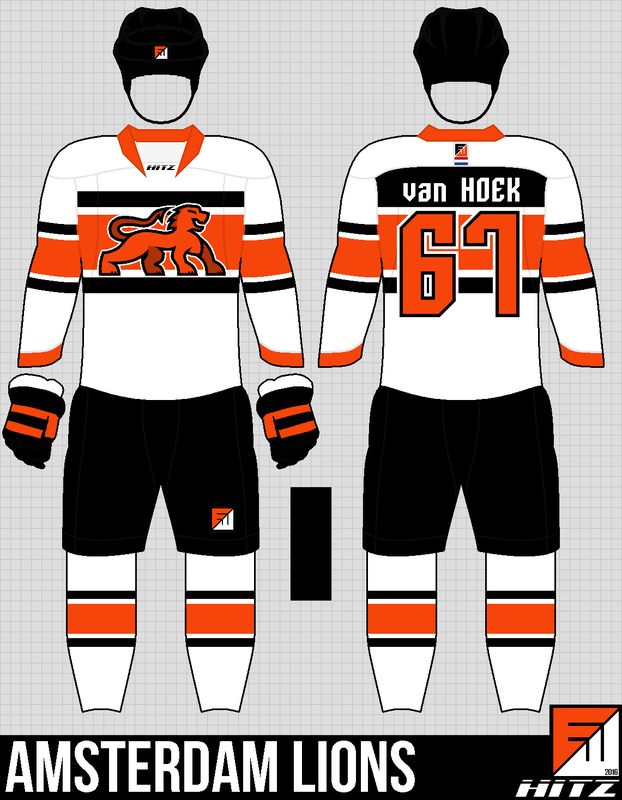 So maybe finding some way to add a specifically Dominican touch to the Home and Away would be appreciated. Time for the next team. We go to the land next to the land down under for the #14 ranked Christchurch Quakes. The uniforms feature New Zealand's traditional sporting colours, black and white. However, a few different shades of grey are used, as well as bright red and turquoise as accents. 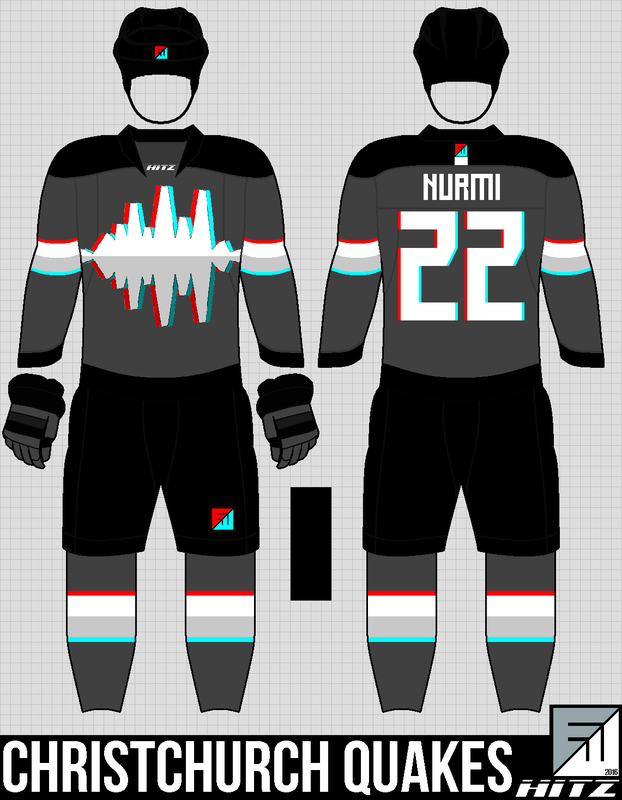 The red and turquoise touches are designed to mimick seismic activity, and are made with reflective material that will glow in flash photographs. 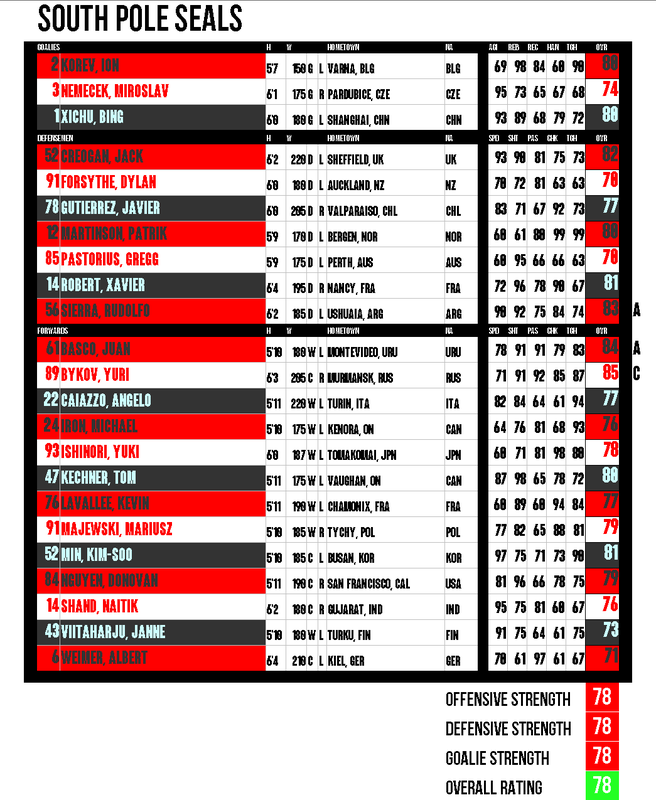 Here's the team's roster. The team boasts a strong offense, but falls apart on the blue line. The team's top defenseman and top scorer, Les Grey, is one of the league's best offensive defensemen, with incredible speed and a brilliant shot. The forward crew is led by powerforwards Matthew Greenwood, Erik Zeitz, and Kristian Nurmi. Waterloo, ON native Jason Beller keeps the team steady in net, but his backups, Barron Handy and Karl Gaines, aren't nearly as good. The team's home rink is here, at the ChristChurch Cathedral in the middle of town. This is what it looked like a few years ago. The building the city is named after is falling apart after being badly damaged in an earthquake five years ago. The team plays outside the church in the square nearby, and has set up a charity to raise funds to rebuild the cathedral. So far, it's still undetermined if the building will be knocked down or restored; the team has no plans to move. Finally, here's some team merch. You'd think we can't go any further south than New Zealand, right? Wrong. We'll head further south with the next team. Bring a parka. The Quakes looks awesome if a bit blurry at times. Are we going to Antarctica next? Blurry was what I was going for. Figured it would tie in well with the whole "earthquake" thing. New team will be posted either today or tomorrow. Any C&C before that? Well, that went over well. Let's plod on through the snow to the next team, the #13 South Pole Seals. The Seals were started by a group of bored seasonal researchers at the Amundsen-Scott Base, located at the geographic south pole. Since then, researchers and athletes from around the world have joined the team, playing for terms of two seasons each. 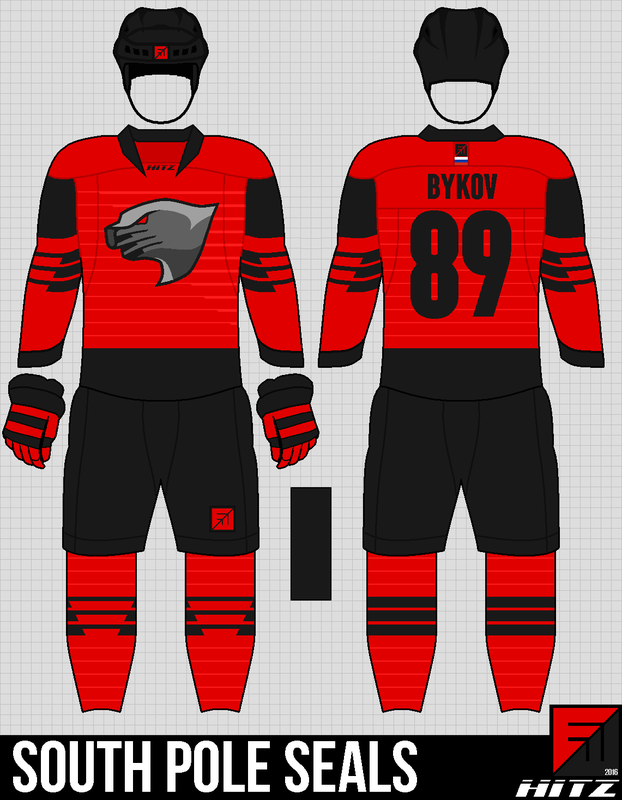 The home and away are based on the standard red and grey parkas issued to research scientists at the base, along with sublimated stripes based on the whiskers of the team's trademark seal. 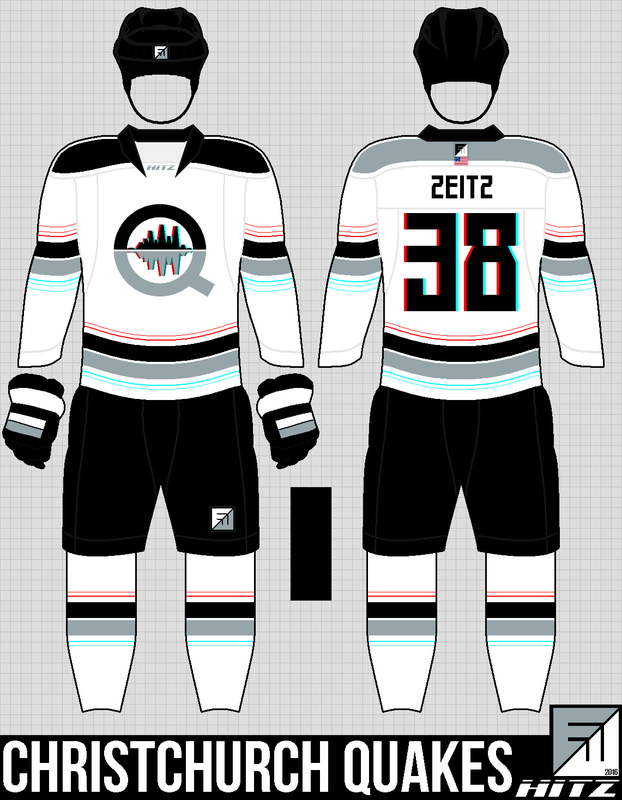 Those stripes also form a southern-facing arrow when seen on the socks and the side of the jersey, because when you design jerseys, even your gimmicks have to be on point. 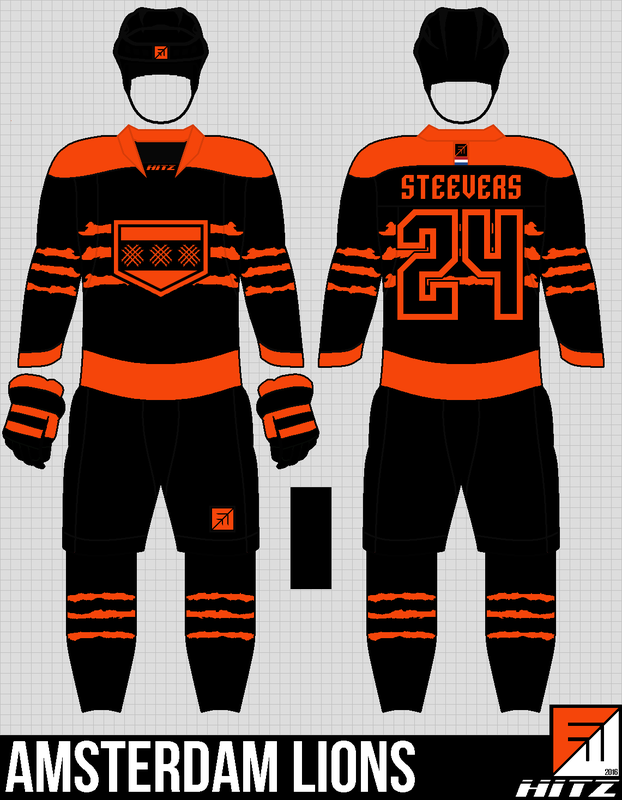 The alternate is designed to be worn in poor weather. 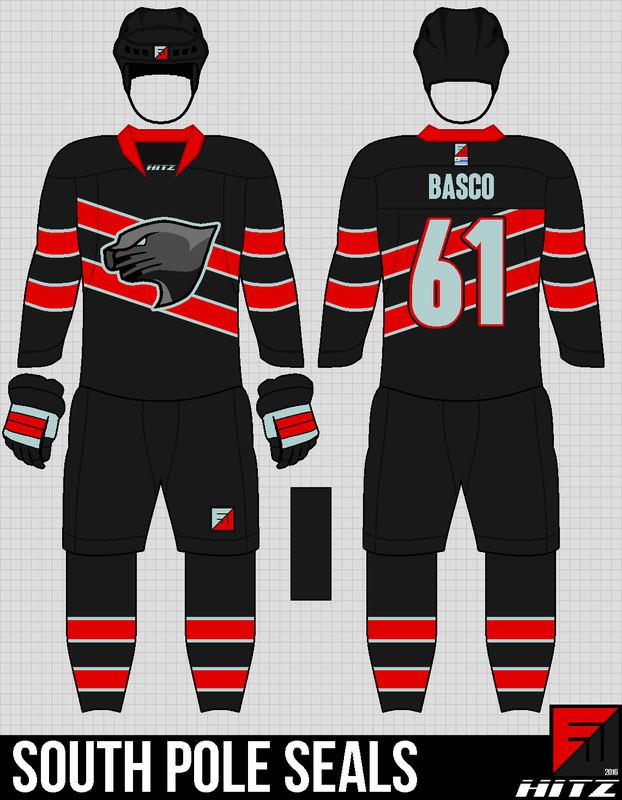 The design includes a bright red colour, trimmed with reflective silver stripes that shimmer off the rink's floodlights and can be seen through both dark conditions and blizzard-like conditions. 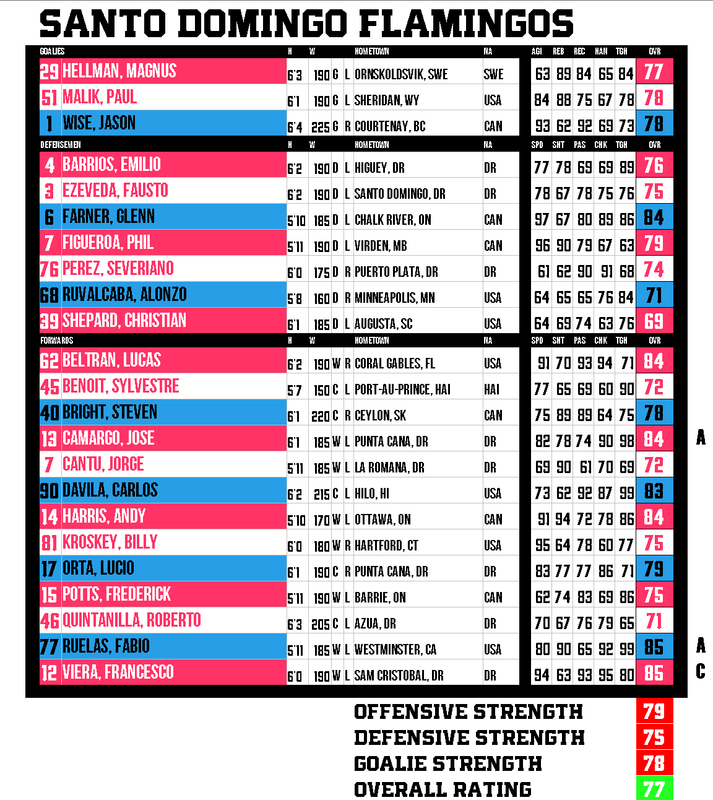 The team's roster is a decent all-around squad, with no real stars. The squad's real claim to fame is its diversity of countries represented. 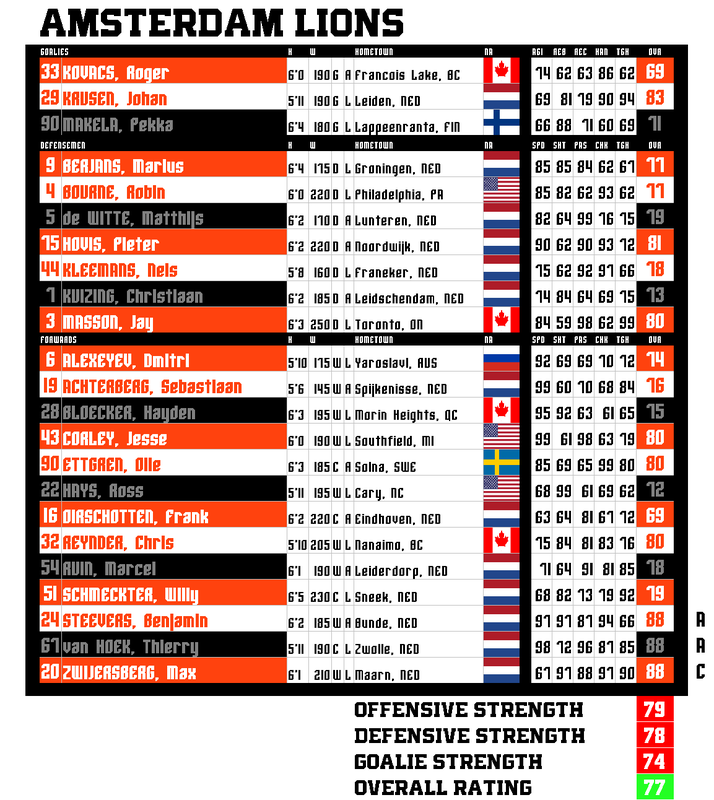 On the team's 23-man roster, 21 different countries are represented; Canada and France both send two players each. Sniper Tom Kechner, speedster Kim-Soo Min, and heavy hitter Patrik Martinson complement a team led by defender Rudolfo Sierra and the first line, including Yuri Bykov, Juan Basco, and Kechner. Here's where the team calls home: the Amundsen-Scott South Pole station. The team plays on an outdoor rink north of the station. Unlike the station itself, which is built on stilts to accommodate blowing snow, the rink has sometimes fallen victim to windy conditions; in recent years, bleachers have been built around the stadium, with thick walls set up behind them, to stop the bluster and snow. The rink is also surrounded by floodlights to allow night games. The new measures are meant to reduce the number of cancelled games at the South Pole, a number which was incredibly high in the past. The island's cold conditions are tough for players, but they also allow open ice time 24 hours a day, 365 days a year. 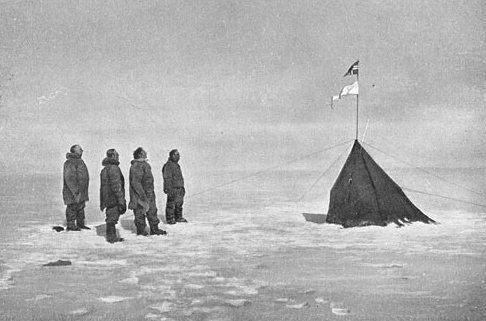 Just think, a hundred years ago, the only thing at the Pole was this tent and flag, put up by explorer Roald Amundsen and his men. Now, the South Pole Seals sell t-shirts. Including one with intentionally inverted text. Be sure to keep your eyes peeled for the next team to be unveiled. We go from the bottom of the earth to one of Canada's most prominent tourist destinations. Don't eat the yellow snow, and don't forget to add some C&C. If I'm doing something right or wrong, it'd really be nice to know it. And on another note, I still have an opening for one more user-suggested team. I'm still accepting ideas. The weirder, the better.